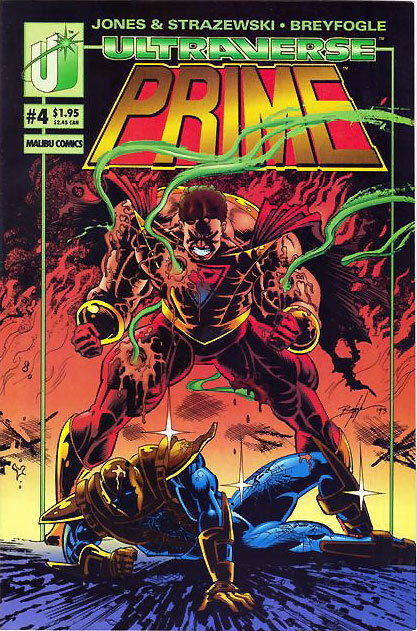 Prime #4 featured a cool battle between Prime and Prototype! 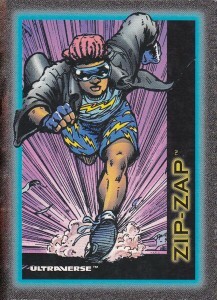 To build hype for the issue, it was printed with two different covers to choose from, both by Norm Breyfogle. Check ‘em out! 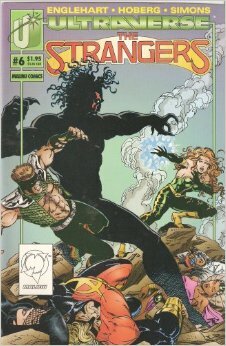 Two of my favorite Ultraverse heroes drawn by one of my favorite artists! Two great tastes that taste great together! 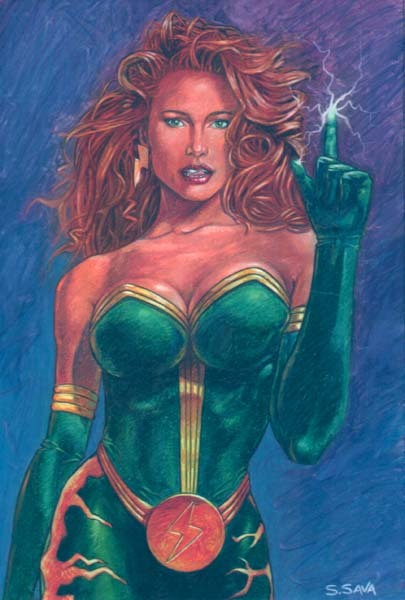 Artist Scott Sava did this gorgeous version of Electrocute and I definitely think it merits sharing on this site. For more of his incredible artwork, check out his deviantART site. As referenced in the first episode of our Ultraverse Podcast, The Prime of Your Life, here is the cover to Mantra #1. Upon initial review, I’d argue that the cover depicts an adventure that’s taking place elsewhere and off-screen. Where is this half-naked and oddly posed woman leaping? And who is it that yelling guy with triple-barreled gun shooting? And who is the weird guy whose face is horribly obscured by the logo? I do my best not to nitpick. I try my hardest not to be a jerk. But this cover does nothing for the fantastic book inside. I love you, Mantra. Let’s not fight. 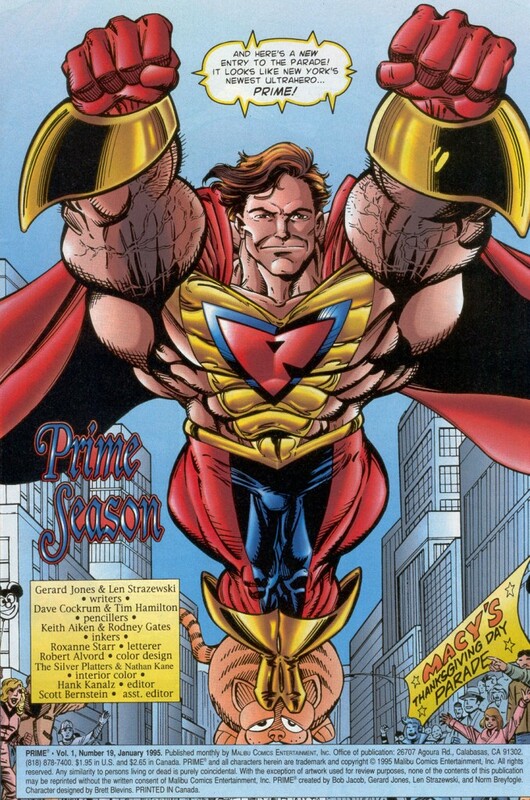 What brought me to this sweet thing we called the Ultraverse? It was the fall of 1994. We were in both in college in Austin. After a brief two year break-up with comics, I decided to start reading them again. Only too much was happening. There was a new Green Lantern because the old one went crazy. Bruce Wayne wasn’t Batman but was again. And wasn’t Superman dead? And who the hell are all these X-Men? 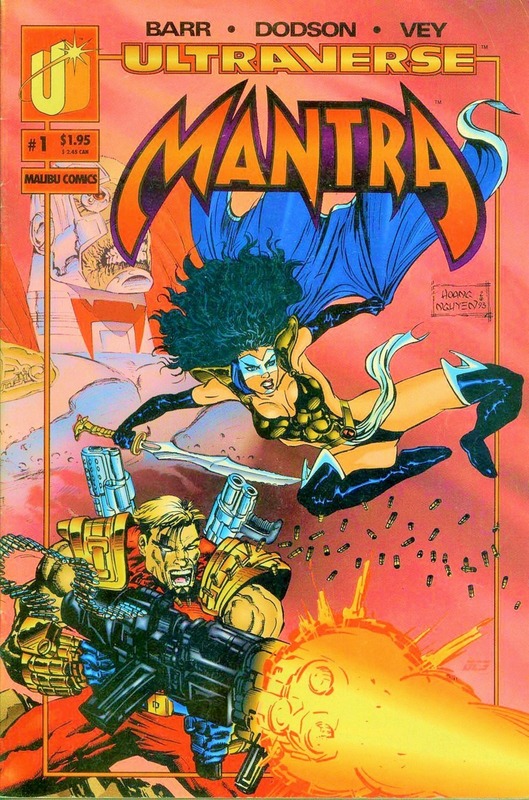 What the hell was Mantra? She handed me Mantra issue 4. I stared at the cover. 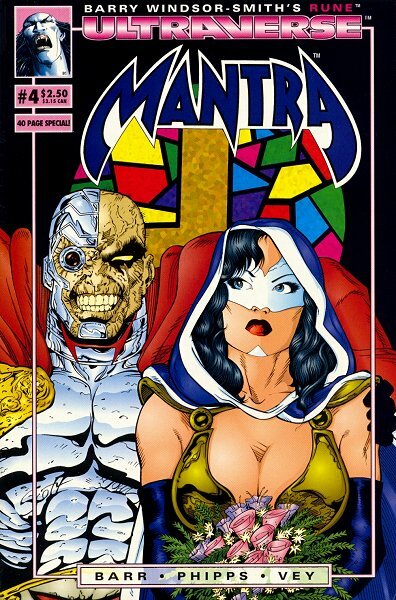 While not dynamic or inventive, there was something intriguing about this jaundiced cyborg cuddling up next to a beautiful masked woman spilling out of her armor. And that color! Who did color like that? Monica told me she thought we should buy it – and by “we” that meant me. So I did. And I read it and learned about a single mother named Mantra caught up in an centuries old battle with the evil Boneyard — only Mantra possessed the body of a goddess inhabited by mind and soul of a man! Crazy stuff. I was sold. The next day I returned to the store and picked up issues two and three. And then something called Firearm caught my eye. Then there were these books called Prime and Hardcase. It was new. It was young. It was dynamic. 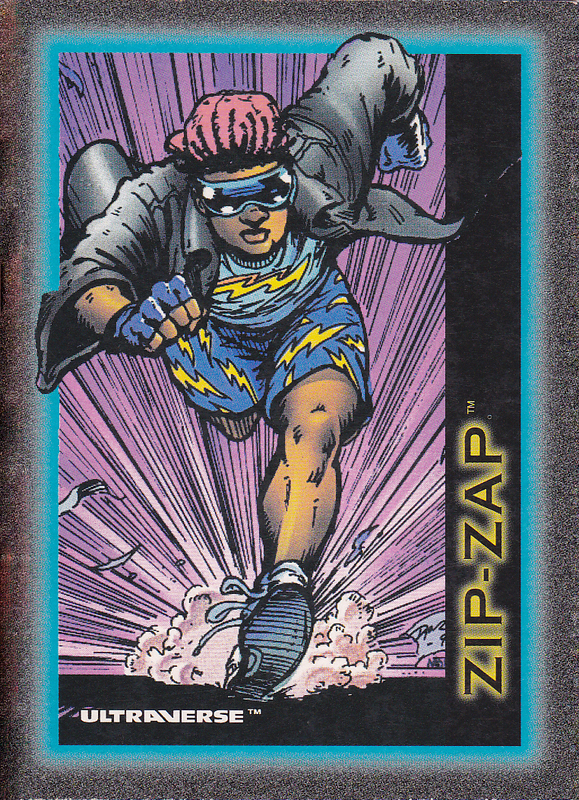 It was the Ultraverse. And comics won me back again. 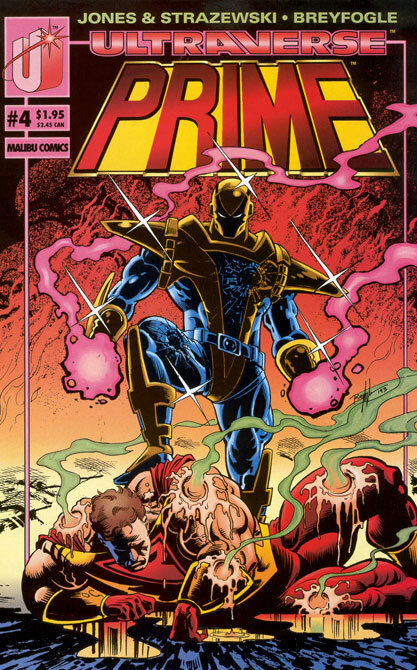 This page appeared in Thanos #3, the February 2004 issue. 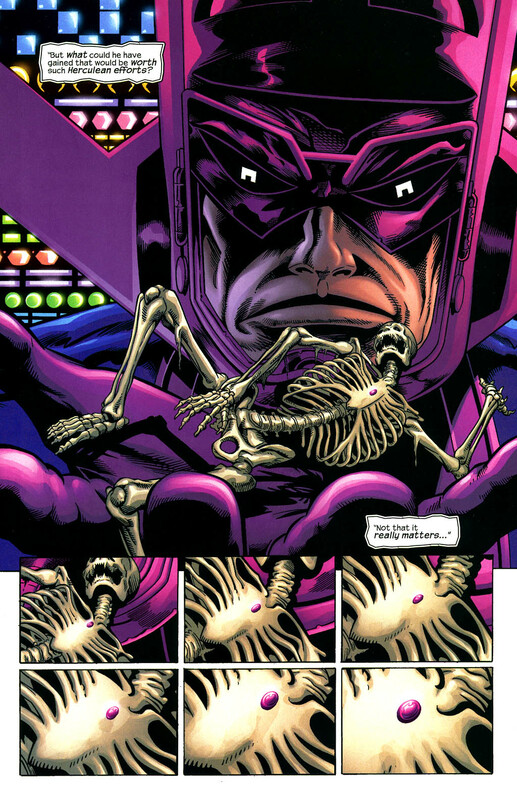 Galactus pulled this skeleton out of a dimensional rift. And the skeleton is embedded with one of the Infinity Gems. Could it be???? Jim Starlin says it was supposed to be. Figure out who I’m talking about yet?